I will be running a game of Troika! at this year’s North Texas RPG Con, on Saturday night (June 3rd) at 6pm. 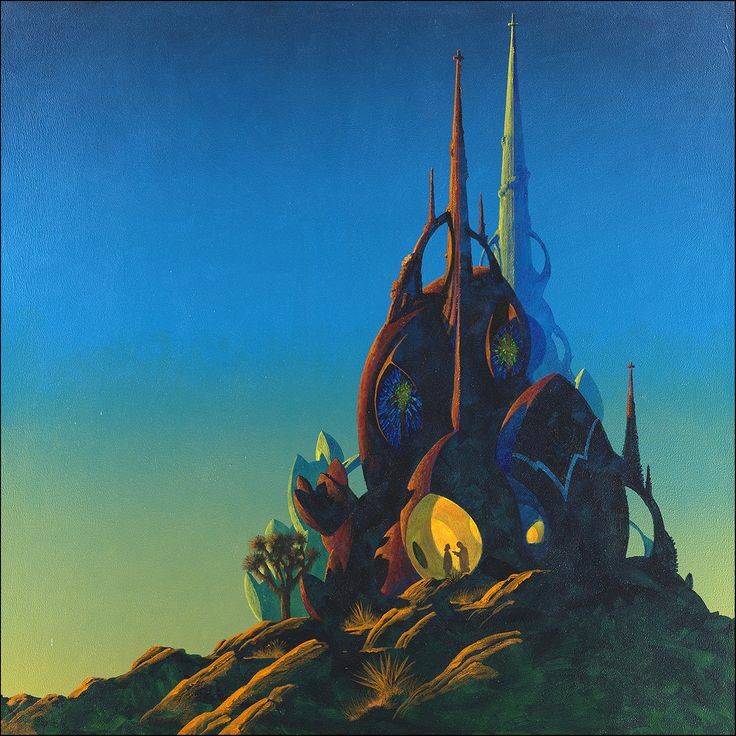 I’m calling it The Spire of the Moth-Riders and I’m gunning for a Frank Mentzer-esque Ad-Lib adventure with this one. But what does that mean? It means that, while I have ideas in mind for the adventure, my goal is to take a number of suggestions from the players as they roll up their characters (which is super fast in Troika!) and I’ll weave them into the game as we play. Really, as much as RPGs are already collaborative endeavors, I’m looking to turn this into a groovy prog rock jam session where I (bassist that I am) showed up with a song title and some chord progression ideas and turn the rest of the band loose on it. Well, that’s how it works in my bands, anyway. So if you’re going to be at NTRPG Con and are itching to give Troika! a try I’ve got you covered. Just remember that game signups open this weekend (Friday night/Saturday morning at midnight), so don’t delay! 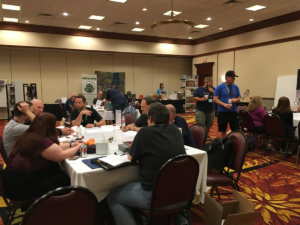 This entry was posted in Advanced Fighting Fantasy, NTRPGCon, Troika on April 11, 2017 by the venomous pao. Update: I’ve dropped the Saturday night BoL game in favor of running an improvised/emergent adventure with Troika! – more on that in another post. The heist went bad. Very bad. And with a full moon shining brightly on the streets of Yllons, the best way to escape notice was to duck into the sewers. Unfortunately, the strange luminescent mist down here has disoriented you enough that you’re now lost beneath the city you call home. There’s bound to be a way out, though. But wait. What’s that sound coming from behind you? And in front of you? It’s a bad night for thieves in Yllons. Let’s hope it doesn’t get worse. The links above will take you to page here at Strange Stones where I will (eventually) post the pregens that will be used as well as any other relevant info. More of that stuff soon! Plonesse is a hilly and densely-wooded region within Galiana, an analogue of medieval France. Vusseaux and Yllons are its two major cities. A road runs between them, traditionally watched over by the monks of the Abbey of St. Giles the Green. Numerous small villages dot the landscape. 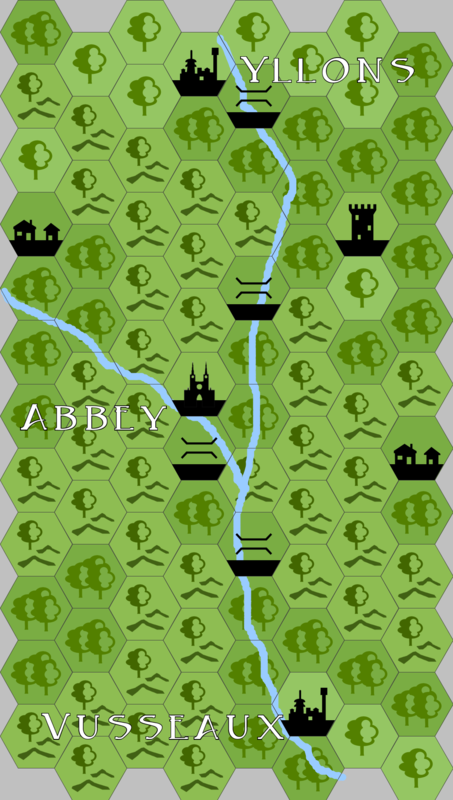 The River Voemonde – joined by the River L’Ud; just south of the Abbey – roughly parallels the road of St. Giles. And all around lies the Forest Malmogne, dark with sinister mystery. 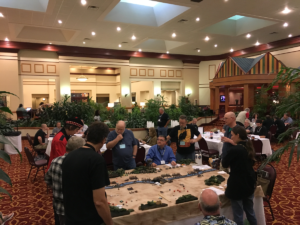 This entry was posted in Barbarians of Lemuria, Honor + Intrigue, NTRPGCon, Plonesse on March 19, 2017 by the venomous pao. Let’s talk nerdy to the animals. Save vs Death, Mister Bunny. Roll to hit, Mister Bear. Recently Random Order Creations released Rabbits & Rangers, a “supplement written for Labyrinth Lord describing 50 cartoon animal races and various rules tweaks that let you get a slightly more cartoony vibe out of your game.” And since I’m a sucker for Carl Barks, Looney Tunes, Felix the Cat, Hanna-Barbera cartoons, Redwall, and just about any other instance of Funny Animals (as well as things that twist or subvert the genre, like Cerebus, Howard the Duck, Fritz the Cat, Rock & Rule, and so on), I bought it. Buying it is no good if I don’t put it to use, though. So here’s a party (in the style of my Labyrinth Lord Rogues Gallery) of characters created using Rabbits & Rangers. These characters are all 1st level, were granted maximum HP (Standard LL Style), and have a bare minimum of equipment. They were all created with 3d6 for stats, more often than not in order. Note: All of the animal races have assorted abilities, attribute modifiers, limitations, and the like. I haven’t listed those here (except for their natural weapon damage values). R&R is only $2, so if you’re curious, go buy the dang thing. This entry was posted in Labyrinth Lord, NPCs, Rogues Gallery on August 19, 2016 by the venomous pao. I drove to Dallas in a rented Dodge Dart, through deluges and downpours of not-quite-biblical proportions. I got a late start and hit the hotel with just enough time to check in and throw my stuff into the room before rushing downstairs to discover that my game for the night was canceled due to not enough folks signing up. Nobody but me was interested in what was essentially going to be a Master Class in GMing given by Frank Mentzer, apparently. I shrugged it off and began the great wandering. I promptly ran into the aforementioned Frank covering for someone in the dealer room. We chatted a bit and he plans to offer the same session next year, but with a better description in the program. So hopefully it’ll happen. Friday morning I got up nice and early and had plenty of time to hit the breakfast buffet. Sadly, the food was a couple of notches down from last year’s Con. Remember that. It’ll come up later. First on my geeky agenda for the day was sitting down to take part in a playtest/demo/whatever of Merle Rasmussen’s forthcoming new 21st Century espionage game, currently operating under the codename Acrid Herald. I played in a game of Top Secret with The Administrator (who’d rather be called the Spymaster, by the way) so I was already a little familiar with his style. He’s a very nice man who delights in bad puns and having fun at the table. This mission was set in Cambodia (cue the Dead Kennedys) at a newly discovered site of multiple ancient animal temples. Only four of the six players showed up, but we dove in anyway. 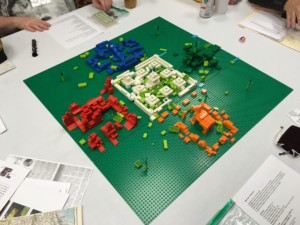 For the initial set up we each got to build our own animal temple out of a whole mess of Legos. These were then placed around a central temple complex and the whole thing formed the site of our mission. It was pretty darned neat. I’ll refrain from the blow-by-blow description of the adventure, since I believe Merle will be running this again at several other Cons over the summer. I can say that we succeeded in defeating the tricks and traps of the evil terrorist Hou-u bin Latelee and saved the temple complex from destruction while also eliminating several other threats to humanity in the process. It was a definite blast. Acrid Herald itself was a little hard to figure out, owing to Merle’s fast-and-loose GMing style. The game appears to assign die types (e.g., d4, d10, etc.) to assorted attributes, skills, and equipment. Sometimes you roll the best die for the task – Got a d4 for physical stuff but also have a set of Gecko Gloves that rate at a d8? Roll the d8 for climbing. Sometimes you roll the two dice together – Got a d10 in shooting and a d6 for your 9mm? Roll ’em both and add together when trying to pop a cap in a bad guy. Sometimes, though, things seems just plain arbitrary. In any case, whenever the entity known as Gygax Games gets this thing out the door I’m sure I’ll be picking it up. We wrapped things up in about four hours, so we ended early (to save Merle’s voice for the rest of the Con), which was fine. 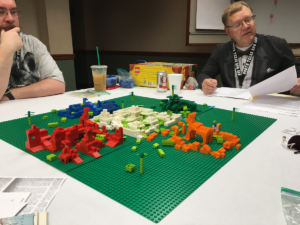 I needed mental time to prepare for running my Barbarians of Lemuria game, in no small par due to the fact that it was about to be the first game I’d run at a convention since 1985. I spent most of the afternoon doing some last minute prep work and getting my brain in place. I grabbed an early dinner at the bar (still not good) and ordered up what was about to be one of many (many!) double Jamesons. I hit my room to throw some water on my face and then headed downstairs to the atrium. 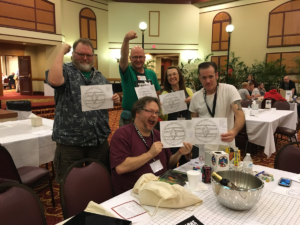 Five of the six folks registered for my game showed up, which was entirely ok. Most of them had played BoL in some form or another at least once, and a couple even had copies of the Mythic Edition rules with them. So the time I had set aside for rules introduction wasn’t needed and we dove straight into the action. Oh, and there was action. And much more drinking on my part. Not enough to cause problems, mind you. But enough that I would feel it later. But I’m getting ahead of myself. Again, I won’t go into great detail regarding the game itself at this point. But I can say that BoL Mythic ran like a charm and many great fights happened along with some very solid roleplaying by the assembled strangers. Play was so fast, in fact, that I had to invent some things on the spot to make sure we didn’t blitz to the end. But that was really no problem – I think on my feet reasonably well and the booze hadn’t dulled my faculties too much. We hit the climax of the adventure at just about the right time and everyone was suitably creeped out and challenged by what to do in the face of what was happening at the Abbey of St. Giles the Green. 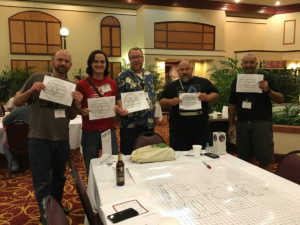 When the adventure ended everyone agreed that a good time was had and I’ve since heard from some of the players that if I run a game next year they’ll be signing up for it. So that’s quite the compliment, really. Over the course of several breaks in the game I socialized a bit more with Robert from Hydra and also made the acquaintance of Jason Sholtis (another Hydra head). Jason and I share a lot of rock & roll background, which lead to some good conversations. I’d brought a number of my band’s CDs along to share with the cool kids, and I passed one along to Jason. Robert then began hatching a plan to have a number of us musician-y types put together a band to play at GenCon sometime or another (next year, perhaps). More on that in a bit. After my game wrapped I went upstairs to drop off my stuff in advance of some more drinking, ideally to be spent with my pal Marc who had arrived earlier in the evening and/or the Hydra guys. But in proper Old School Sandbox Style I got waylaid by a random encounter. Heading back down stairs I ended up on the elevator with (hand to God) a traveling salesman from Cleveland who was just at the hotel for the night to catch a morning flight the next day. 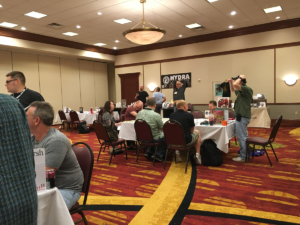 I ended up missing out on hanging with the Con crowd due to a lengthy and interesting conversation with a guy who had nothing to do with gaming at all. He’d barely even heard of D&D and its ilk before, but was fascinated. So we talked about gaming quite a bit. But we also talked about marriages, divorces, web development, elderly parents, and a whole host of other topics. It was an unexpected but great way to spend the night. If only I hadn’t kept drinking. I barely made it to my room. That’s how hammered I was. To quote Elvis Costello, the hangover had a personality. And it wasn’t a nice one. I tried to make the Toon game I was scheduled to play in at 9:00. I really did. I got up. I showered. I got dressed. And then I hurled. So I crawled back to bed and slept until almost 1:00. I was awakened by a phone call from my wife letting me know that the DIY home improvements she was undertaking while I was off dorking out was, in fact, not at all going according to plan. Not exactly delightful news. But there are worse things in life. So hey, we’ll move on and everything will be OK eventually. After that, I got back up, reshowered, and headed downstairs to refuel, regroup, and to find Sniderman to apologize for having missed his game. Kind soul that he is, he absolved my guilt and I was able to begin the mental prep for running my second BoL game at peace with the world (and without any booze). Once more I’ll avoid going into great lengths about the game itself. But I can say that as good as the Friday night game was, Saturday night’s might have been even better. Amazing role-playing from all five of the players who made it to the table (I got another no-show, karma?). Terrible blood-drinking jungle plants were dispatched. Cannibalism was addressed. And the evil sorcerer who was behind it all met an appropriate fate while the children of the neanderthal village were safely returned. We still had about an hour we could have played when the main portions were wrapped up, but everyone agreed that the creepiness and laughter had been enough for one night. And the highest compliment I could have hoped to receive was given. Several of the players agreed that this was the best Con game they’d ever played in. Damn! That felt good to hear. But it absolutely wouldn’t have been true if all five dudes hadn’t been aces as players. So cheers to them! After wrapping up and getting my stuff back to the room it was time to check out the storied “Satan’s Midnight Auction” event, in which bizarre junk is auctioned off to help raise funds for the Con. The auction was pretty funny to observe, but it was definitely a thing for the insiders more than the rest of us. I bailed pretty quickly and wound up chatting with a few folks – some from my home games and some new friends – before crashing out. Not having a hangover on Sunday morning was a nice thing. I didn’t have time to go on a breakfast run to the outside world, since I had to get packed and checked out before my 11 game. Instead I dined once again at the sub-par restaurant in the hotel with a group of friendly souls who I’ll look forward to seeing again next year. 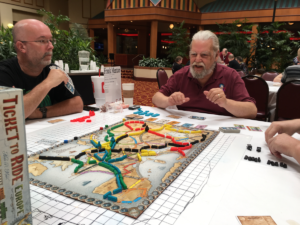 My Sunday morning game was playing in the annual “Gygax Memorial Ticket To Ride Game” with Frank Mentzer. I’d been preparing for this for weeks, playing TTR on my phone against a full table of computer opponents. Unfortunately, I was playing the original and the actual game was the Europe version. No matter, I’d played that before. While everyone was playing Frank regaled us with tales of his time at TSR and his many good times with Gary. Despite my preparations I ultimately finished last for want of a single green train card. Had I gotten it within those last two round I actually would’ve won. But hey, it made for a great, tense game that was entirely worth playing. I intend to register for this again next year to avenge my loss. After that, though, I’ll leave off so someone else can enjoy story time with Uncle Frank. Once the game was done it was time to wander one last bit to give my regards to anyone who was still hanging around. I had some nice conversations and then hit the road for the not-supposed-to-be long drive back to Austin. Sadly, some poor sucker got in a wreck and his truck caught on fire just north of Temple, Texas (70-ish miles from home for me). I sat in park on I-35 for about 30 minutes before they finally got the road cleared enough for traffic to start moving again. Not a disaster (for me), but not exactly the smooth sailing I’d hoped for. After getting home and assessing the situation with the failed (though no fault of my wife’s) DIY action, we hit our favorite burger joint for dinner and then I spent a chunk of the evening unpacking and connecting with new friends on Google Plus. In short, it was a great Con experience. If you haven’t been able to go to this one, I highly recommend it. In the few short days since the Con ended, there’s been much cool action. The “OSR All Star Band” (or whatever it winds up getting called) is already being discussed for an appearance at NTRPG Con in 2017. So I’m 99.44% likely to be back next year. Of note, the Con will be moving to a different hotel next year, in no small part due to wide and deep dissatisfaction with the on-site food. It’ll still be right by the DFW airport, though, so it will remain easy for you far-flung fliers to find. I’m already pondering what games to run next year, too. I have to set aside an evening slot for the probable rock show, which cuts back on my gaming just a tad. But it’ll be worth it to melt some faces with rock & roll alongside some very cool folks. This entry was posted in Barbarians of Lemuria, General Geekness on June 12, 2016 by the venomous pao. My lovely and talented wife made a thing. And that thing is a hand-drawn character sheet for Barbarians of Lemuria to be used in my games at NTRPG Con in a couple of weeks. So I thought I’d share (the non-filled out version) with you. Download an unoptimized PDF by clicking on the image, if you so desire. By design this is pretty much only good for new characters (or at least those with only 4 professions), but one could squeeze in additional professions if necessary. 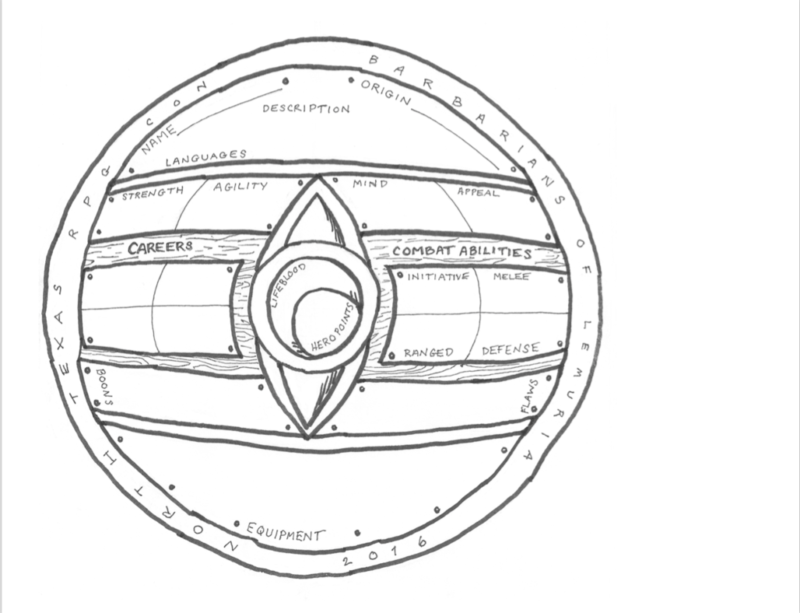 Since it’s meant for the con it’s missing slots for Arcane Power, Fate Points, Craft Points, and Advancement Points. But there’s plenty of room off to the right for tracking such things. This entry was posted in Barbarians of Lemuria on May 23, 2016 by the venomous pao.